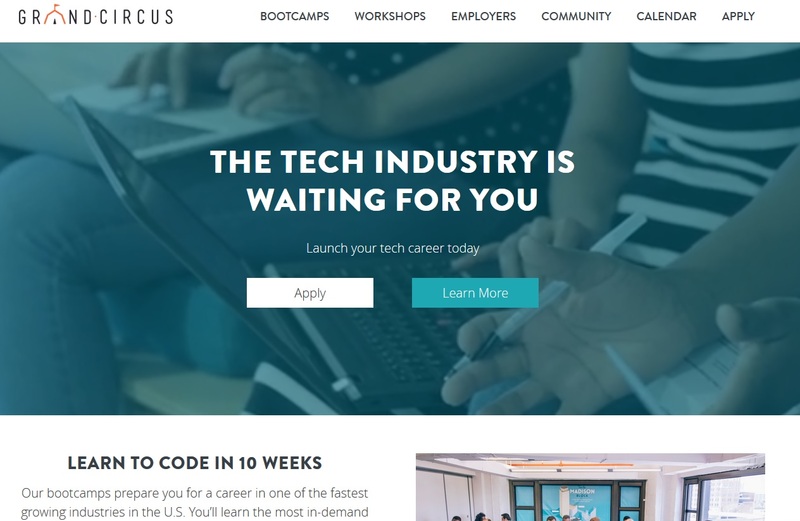 DETROIT – Grand Circus, a technology training provider with campuses in Detroit and Grand Rapids, announced the launch of the application process for the Facebook Bootcamp. Applicants accepted into the Facebook Bootcamp will receive full scholarships and training in HTML5/CSS3, JavaSript, jQuery, React, Node.js, NPM, AJAX and json. They will be proficient in embedding media, leveraging scalable vector graphics and using CSS to improve site performance. Within this program, students will be provided with job assistance training and guaranteed first-round interviews at Michigan technology firms, including Accenture, a global professional services company. A total of 25 students will be accepted across Grand Circus’ Detroit and Grand Rapids campuses. Applicants must commit to eight weeks of full-time attendance from Oct. 18 through Dec. 8 and two weeks of mandatory pre-work. This pre-work will be a part of the application process. Eligible students must be residents of west or southeast Michigan and be 18 years of age or older. Applications opened Tuesday. Qualified students will be assessed on a first-come, first-served basis and acceptances will be based on phone and in-person interviews and exemplary completion of the program’s mandatory pre-work. More information about the Facebook Bootcamp is available at https://www.grandcircus.co/bootcamp/facebook-bootcamp/. The Facebook Bootcamp is a continuation of the Facebook and Grand Circus partnership to train 3,000 Michiganders in coding and social media business marketing over the next two years.